A prison city. A work camp city. A city of gangs and loyalty, of violence and rebellion. A City of Remnants. Welcome to Gatorum. Each player is the leader of a gang, each with its own strengths, members, powers and abilities. All gangs fight against each other, jostling for districts, recruitment, and influence in the city; but they share a common enemy: the Yugai who imprisoned them here. 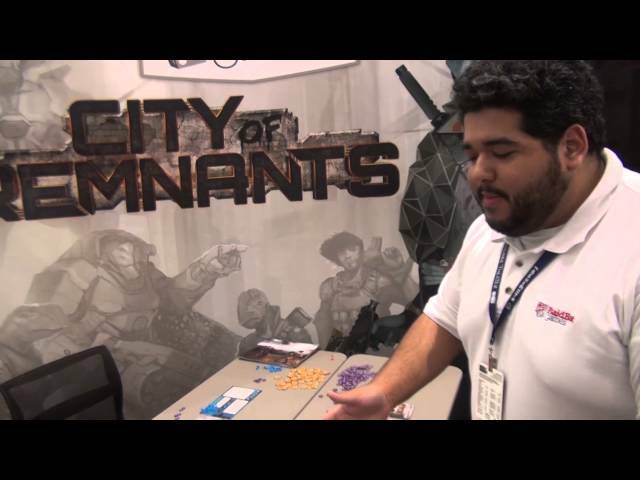 Buy City of Remnants for a board game of resources, auctions, area control, and open conflict. One of the classics of the area control genre, City of Remnants is designed by Isaac Vega whose other work includes Ashes: Rise of the Phoenixborn.